a) If we were to look at the total volume of your chart notes, what percentage of that volume are you free typing into the EMR? If it is 30% or more, this tip is for you. b) Do you often feel like a broken record at the keyboard? 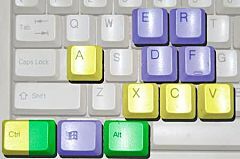 Do you find yourself typing the same note over and over again? That is very good news. Read on to find a TITO trimming tip you can put into action today. If you free type more than 30% of your note volume and feel like a broken record much of the time, there is a much easier way. The key here is to use the template function (sometimes called "quick keys") in your EMR system. Anything you free type over and over can be templated. This turns a typed note into a single keystroke. How many times do you have to make a template? How long can you use that same template? In fact, every time you create a new template you provide yourself with a permanent decrease in your TITO. 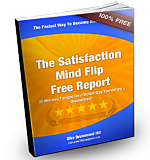 Here is a simple way to get started that I guarantee will make a difference right away. i) Make a list of your "broken record" chart notes - all the notes you find yourself free typing more than 3-4 times a week. ii) Rank the list in the order of the frequency you find yourself entering the note in your average week. Most frequently typed chart entry first. iii) Once a week take the top note on the list and template it. It will probably take no more than 30 minutes. Remember, when you do this just once, you are saving literally thousands of minutes of broken record activity from this point forward. iv) Use your templates from now on. You may need to free type a phrase or two now and then. You will never need to free type the whole note again. NOTE: You can also ferret out the Power Users in your group - the ones who love EMR and always get home on time - and ask to borrow their templates. They always say yes. How do you do that? Hire a scribe. We both know that is easier said than done. However, once you know how to negotiate with your administrator to get your scribe on board and once you know where to find a trained scribe, the job gets MUCH easier. Let's take those one at a time. Every physician tells their administrator, "If I just had a scribe, I could see more patients." I guarantee you every time an administrator hears that, the little voice in their head says, "Prove it." That' is exactly what you have to do. Administrators have two concerns doctors don't. Budget and Manpower. If you are going to get a scribe, you must prove to them that it won't cost extra money or take extra personnel. They don't want to take the financial or staffing hit if you can't see more patients with the scribe. What's the solution? 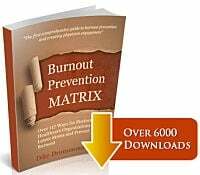 1) Get baseline productivity statistics. You must know exactly how many patients you are seeing before your scribe pilot project starts and how much money that makes. You pay them out of your pocket. You take the financial risk to prove your point. I suggest you hire two part timers rather than one full timer. That way if your scribe is sick one day you have a backup. Dial them into your practice until you are operating smoothly. It will take 6 - 9 months. Show that you are seeing more patients and making more money than it costs to pay the scribe's salary. Now that you proved you can see more patients than the scribe costs, ask for your group to take over payment of the scribes salary from the additional income. You can do this yourself or the entire process of hiring and training a scribe can be outsourced as well. That's right, you can hand the entire process of documentation and managing your scribe off to someone else. All it takes is the cash flow to afford their hourly fee. At a recent conference where I was a keynote speaker, I ran into a firm called EliteMedicalScribes. They are active in 22 states and cater to both larger organizations and individual physicians. They hire, train and pay your scribe(s) charging only an hourly fee for the hours they are working with you in your practice. I met with some of their team members and they seem to be honest people, interested in helping overworked doctors spend more time with their patients. I would recommend you check them out if you are considering a scribe for your practice. Here is their website www.EliteMedicalScribes.com . Photo courtesy of Medical Scribe Systems. This is not an endorsement of their program and I have no financial relationship with them of any kind. 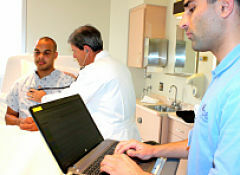 They do have expertise in a nationwide program of hiring, training and deploying scribes for all kinds of doctors. This information would be extremely useful if you are considering a medical scribe for your practice. Give them a call if you are leaning in that direction. Two TITO busting EMR documentation tips. If your electronic medical record is a major cause of office stress, the time to take new actions is now. If you struggle and do not change what you are doing, you are only fulfilling Einstein's definition of Insanity. 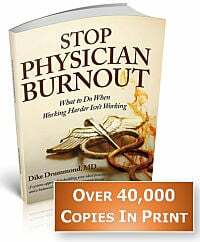 The comprehensive EMR Optimization Strategy is in the book "Stop Physician Burnout - what to do when working harder, isn't working". What is your favorite EMR / Documentation Power Tip?